Fake Food Watch: Pumpkin Spice Lattes: To Drink or Not to Drink? 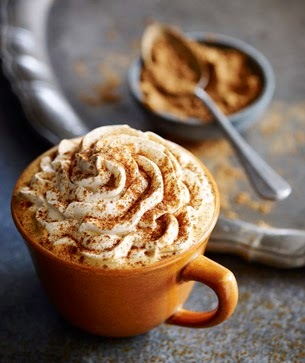 Pumpkin Spice Lattes: To Drink or Not to Drink? Summer is over, and so is my two-month sabbatical from Fake Food Watch. For Starbucks aficionados. the demise of summer means the aromatic return of Pumpkin Spice Lattes, my favorite Fall concoction. But this year, the burning PSL question is: To drink or not to drink? Recently, a top health blogger shrilly berated Starbucks to "Stop putting toxic chemicals in your Pumpkin Spice Lattes," and sharply warned all of us to "think before we drink." Her message went semi-viral in food digital circles. No actual pumpkin in PSLs - Someone thought there was actual pumpkin in PSLs? They didn't realize that flavored, sweet syrups are commonly used in beverages? The syrups openly displayed in every Starbucks on planet Earth? "Toxic" dose of sugar - A grande (16 oz) PSL contains about 12 teaspoons (50 grams) of sugar. That's a lot of sugar for anyone. But toxic? Medically, maybe for diabetics. For non-diabetics, depends on how loosely "toxic" is defined, and on each person's daily diet. Possible Pesticide Residue - Always true for any crop, including coffee beans, that are not organic. True of every non-organic coffee, which is most coffee sold worldwide. Eating only organic is a personal choice. Caramel Color Level IV - Artificial food coloring is brewed from chemicals, and never carries nutritional benefits. Caramel food coloring is no exception. Per this blogger's tiniest fine-print, "It's the most widely used food coloring in the world, which makes it easy to consume excessive amounts." She's correct that artificial coloring in anything can cause allergic reactions. Also, if ingested in inhumanly extreme amounts, some artificial ingredients can prove carcinogenic. And indeed, "there are safer alternatives available to food manufacturers." But toxic due to an occasional Starbucks Pumpkin Spice Latte? Hogwash. Near impossible. Ambiguous Natural Flavor - The blogger gratuitously adds, "... that can be made from substances like petroleum." The same can be said for more than 95% of all processed foods, which represents about 90% of foods sold in supermarkets and 99% of fast food outlets. Preservatives & Sulfites - Again, she's piling on scary superlatives. The same can be said for more than 95% of all processed foods, which represents about 90% of foods sold in supermarkets and 99% of fast food outlets. I'm an unabashed supporter of organic foods, free of chemicals, additives, fillers, preservatives, and artificial colors and flavors. I'm a staunch supporter of freedom of both informed choice and clear labeling of all ingredients. I'm also a supporter of commonsense, fact-based journalism. I don't know much about this particular blogger, who glamorously prides herself on leading "investigations" to help "show you how to get the healthy body you want." Others do hold strong views on this blogger though. Click here for an article by Science-Based Medicine.org, The Jenny McCarthy of Food: Enter the Font of Misinformation that is The Food Babe. As for me, will I treat myself to an occasional Pumpkin Spice Latte? Of course. 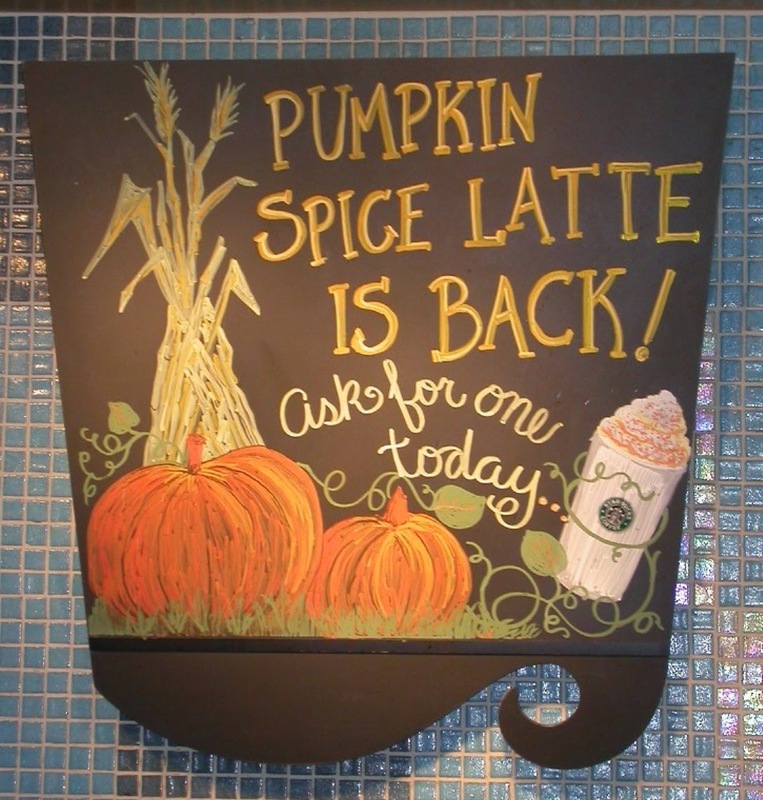 In fact, I'm heading to Starbucks right this moment for my delectable first PSL of the season! Thanks for the lovely article Deborah about Pumpkin Spice Lattes. Your ideas are so great and this helps so many people to make a decision either to drink it or not. I have seen that the Gumbo recipes is so great and people from many areas love to make it by their own. Originally, I became interested in Green drink as an alternative to my numerous multi-vitamin and mineral supplements that I used to consume daily. I get protein, chlorophyll, fiber, vitamins, minerals, enzymes, and other essential nutrients from them.